Hmm how do thought balloons translate into radio DJ’ing? Dead air, or do we hear dog noises like on the Peanuts cartoons? ^yeah! is he going “Woof woof woof?” to everybody? We are talking about a world where, in the cartoons, adults sounded like various muted brass instruments. Who knows how he sounded! Recharging is good for us all. Sometimes I need to more often than I actually do. Charge away! 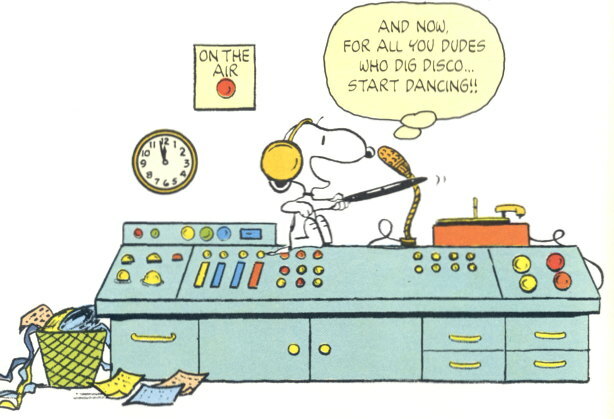 Snoopy is just killing time at WKRP until the Flashbeagle era begins.